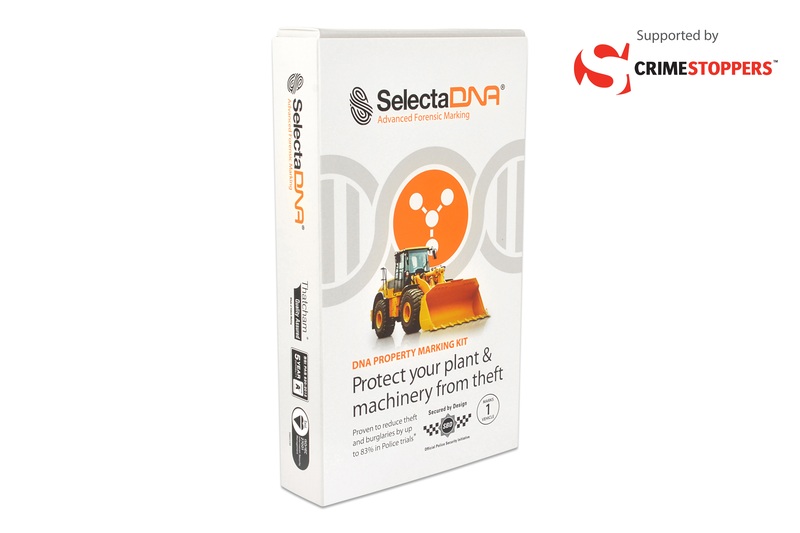 Many leading companies have successfully protected their plant equipment from theft at construction sites across the UK by using SelectaDNA. 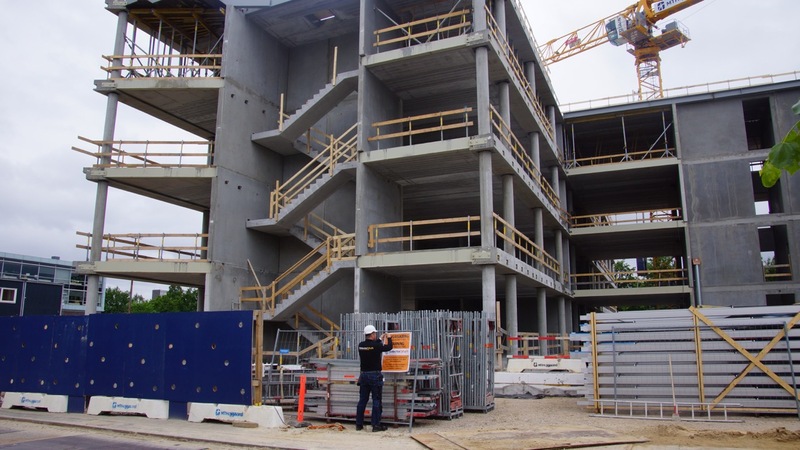 Theft from construction sites is an ever-creasing problem with an estimated £100 million of plant being stolen per annum including scaffolding, excavators, compressors and even cranes. 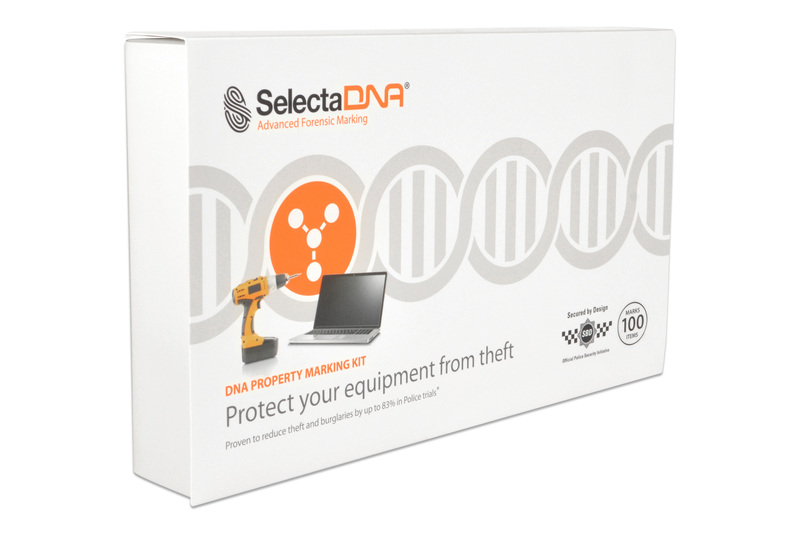 Using SelectaDNA will have a big impact on deterring thieves from stealing your construction materials. 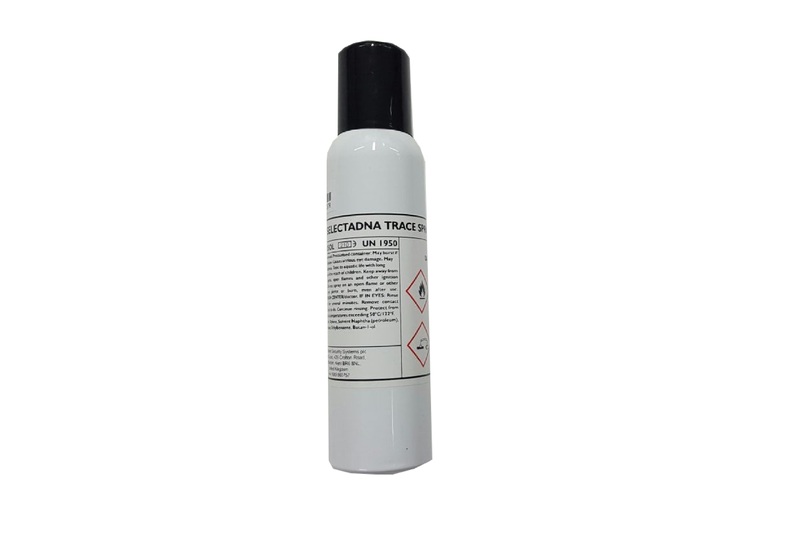 Please find below our range of SelectaDNA Trace products for you to purchase today. 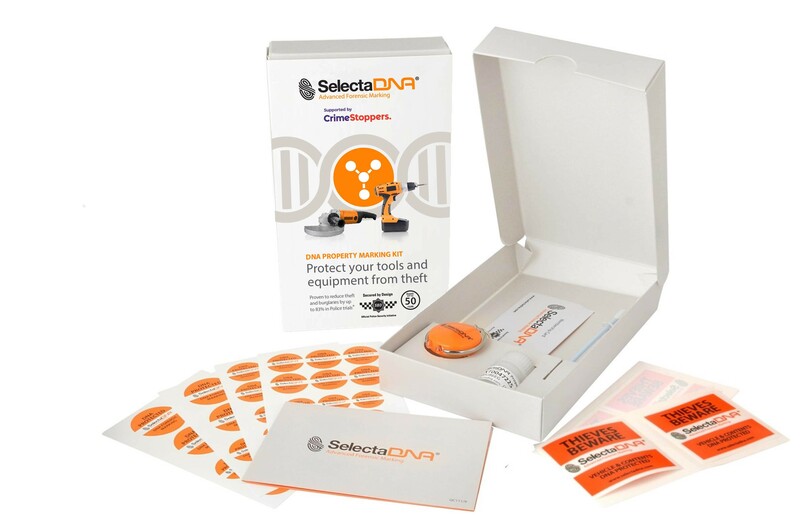 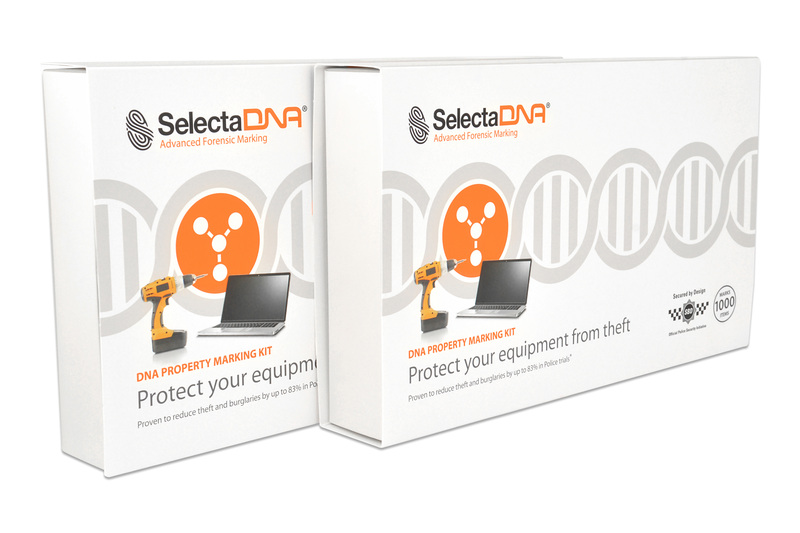 A DNA Forensic Property Marking kit designed for tools and equipment. 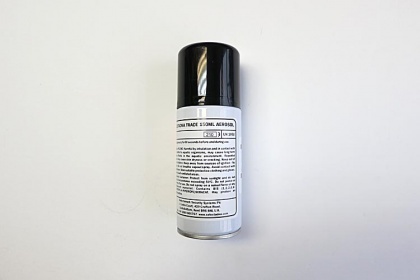 Marks approximately 50 items of equipment and power tools including drills, wrenches, angle grinders, chain saws, hedge trimmers and hand tools. 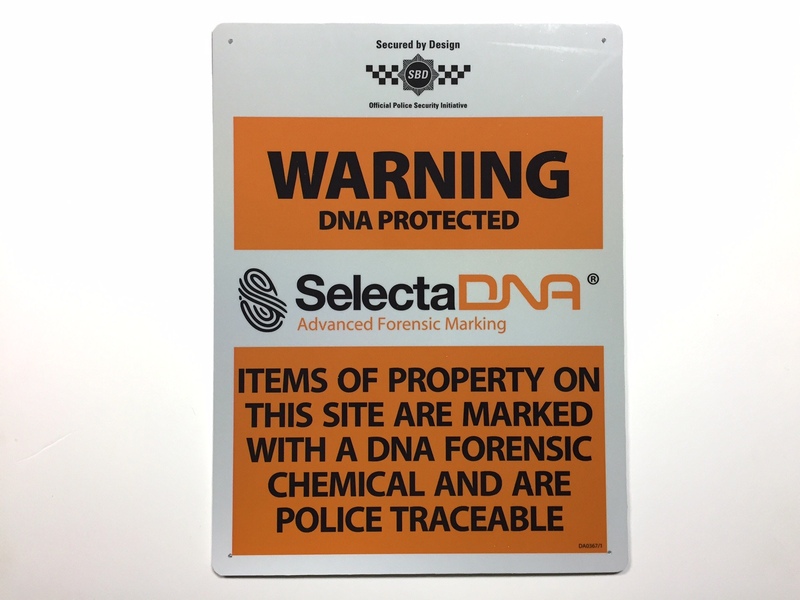 A 40x30cm outdoor warning sign with a reflective coating to attract attention when a light is directed at it during hours of darkness. A DNA Forensic Property Marking kit to mark your plant and machinery equipment and protect it from theft. 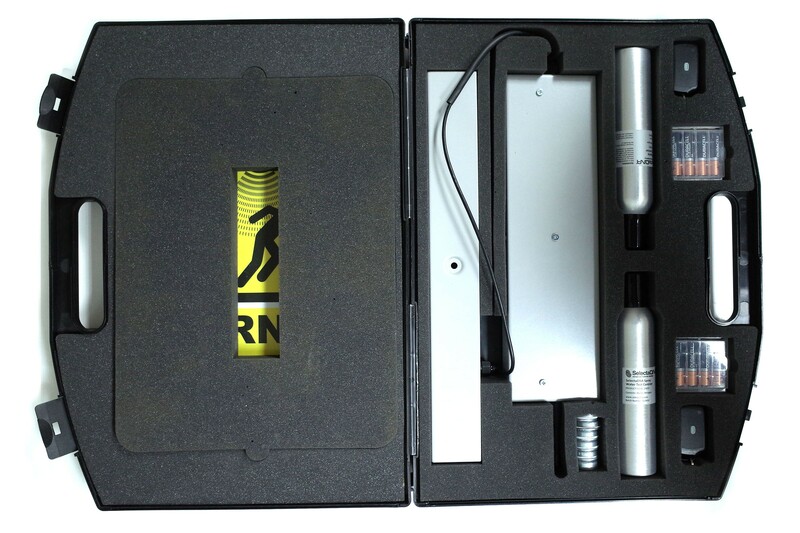 By using this kit, and displaying warning signage around your site, you are providing a physical and visible theft deterrent.